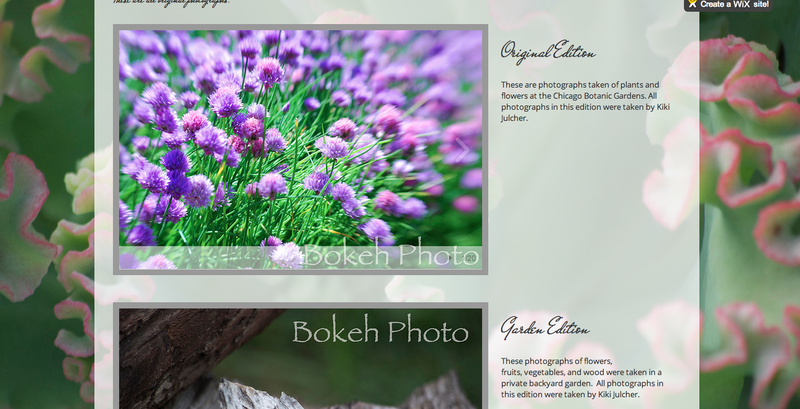 So I have been working on setting up a website for my photography work. I think it will help with the professionalness of my business. A friend gave me some good websites for hosting and templates and I just picked the one that I liked the best. That one happened to be Wix. I just like the easy editing and customizing as well as the templates they had for me to pick from. I even looked into switching my blog to them but they didn’t have any blogging templates. Anyways, I decided to go with a simple template and a more abstract photograph for the background so it wouldn’t be distracting. 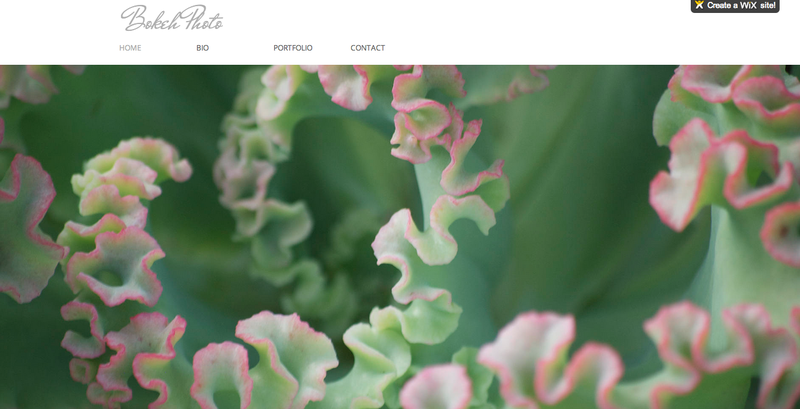 Then I changed the format of the portfolio to better suit my needs and format. I wanted to keep all of my collections together and that grant itself to the slidshow format. Then I fixed up the bio page (which still might need some tweaks) and switched the info in the contact page and I was ready to go. I gave it a few days to sink in. I also wanted to make sure I still liked it over time so I wouldn’t end up making any drastic changes right after I went live. Then I just clicked publish and I was good to go. I hope to get my own domain soon so that it is easier to find, but I wanted to see it live before I took that step. Check it out! And please let me know what you think!